Kudos for this one goes to Martie Botha who sent through the link for Paediatric Emergencies, a podcast, website and app combo. 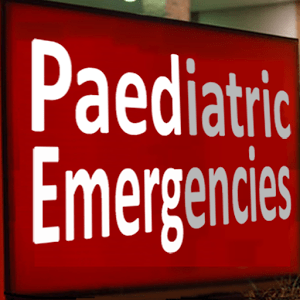 The podcast contains reviews on important paediatric emergencies such as acute asthma, bronchiolitis and airway management. So far there are only 8 casts over the past year, but one can only expect more are on the way... You can subscribe to the podcast on iTunes, RSS feed or YouTube. The website makes available resources related to the podcasts, as well as some other posts. Most of the useful stuff is in the "Waiting for the Paediatric Retrieval Service" section. The app I'm not in a good position to review—it's not FOAM, and I've only downloaded the free version, which only has access to the anaphylaxis algorithm. It appears to be targeted at providing bedside information and calculations; you enter in what you know of the patient—age, weight, gender—then select the condition you are treating. The app then provides a treatment algorithm (unfortunately the anaphylaxis one needs to load in a separate program) and weight-calculated doses for the relevant treatments. If you're on the scout for more resources on managing paediatric emergencies, Life in The Fast Lane, as always, has some of those too.